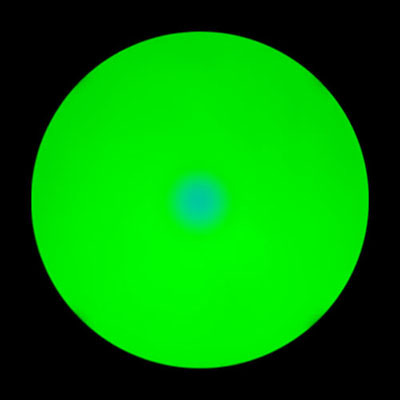 If you stare at the blue patch in the center of the green disk for several moments, it will appear to fade away. If you are having trouble seeing the illusion, try staring a little bit away from the center. Exploratorium, “Fading Dot,” Exploratorium, 1997-1998. [Online]. Available: http://www.exploratorium.edu/exhibits/fading_dot/fading_dot.html. [Accessed: Mar. 29, 2010].